Lisbon is one of those few cities in the world that is blessed with everything from architecture, art, culture, great food and a beautiful coast, that although now is one of the most populated sub-urban zones in Portugal it most definitely still retains the best chilled and relaxed beach holiday atmosphere. Here are a few suggestions on what to look out for and what to do whether you’re planning a road trip along the ‘linha’ as it is referred to by the locals, or looking for the best beach to chill on your next holiday in Lisbon. 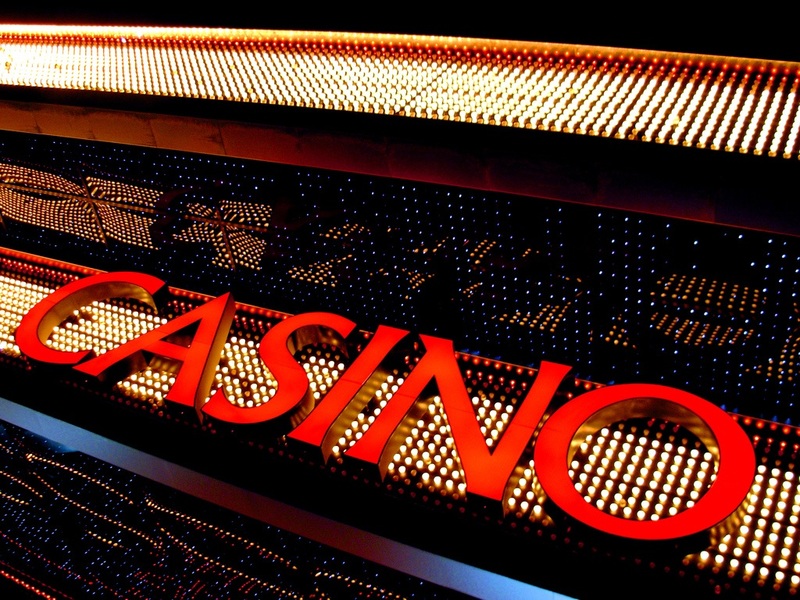 The heart of the entertainment in Estoril, the casino, also the biggest in Europe offers more than just gaming tables and slot machines. The restaurants are of exceptional quality whilst the complex boasts of an art-gallery with regular exhibitions, a theatre with a full-on calendar and also a club in case you want to kick back on a few cocktails and a dance. This is one for your ‘been there, done that’ bucket list as it is the westernmost point of mainland Europe. Cabo de Roca is a spectacular cliff top location marked by a lighthouse. Make sure you dress appropriately as temperatures and winds are rather unpredictable here and it can get really cold really quickly in comparison to the city. Cascais is a remarkable place with quite a few idyllic spots to indulge in. Make your way towards the Citadela de Cascais, a fortified city that now houses several upmarket boutiques, a hotel and a few restaurants too. Golf I hear you say? Yes golf. The Lisbon coast is chock-full of golf courses, in fact there are 8 in total, so if you’re planning your next golf trip with your friends, well then the Lisbon coast should be on your priority list. Check out the courses of Penha Longa or Oitavos in the Quinta da Marinha. 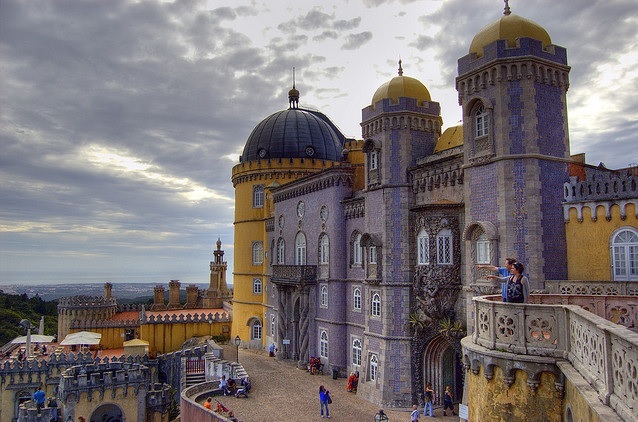 To visit Lisbon and not go to Sintra would be a big mistake. 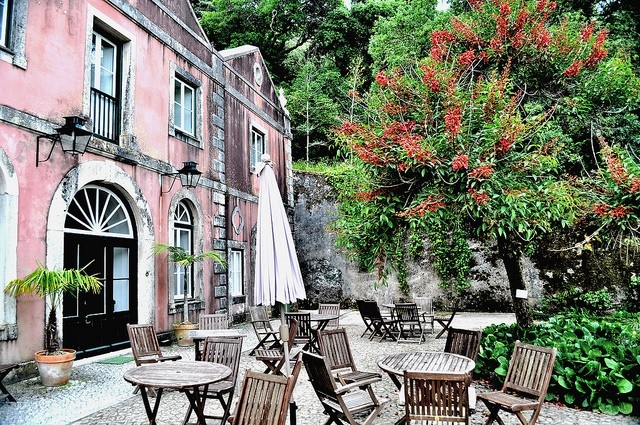 Portuguese Kings chose this place as their preferred summer retreat location and for good reason. No spoilers, you’ll see why when you get to this lovely hill town set on the northern slopes of the Serra. Make sure you don’t overlook the Monserrate gardens. A mix of exotic, natural and artificial elements are the order of the day here, and you can easily grasp the Moorish, Indian and Gothic influences in both the architecture of the palace within and also in the pastiche of diverse elements the garden itself is made of.